Carcase widths up to 1200mm can be produced by combining sevaral articles. Cutlery tray: Can be used individually in carcases in widths from 450mm-600mm. 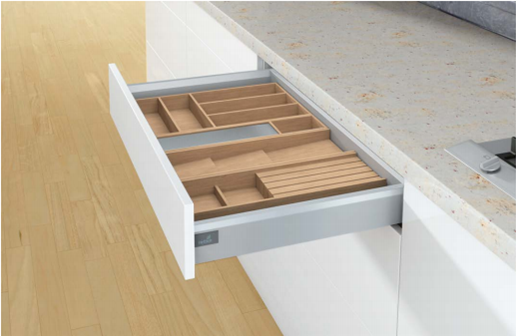 Cooking utensil tray: Can be used individually in carcases in widths from 350mm-400mm. Roll holder: Only in combination with cutlery or cooking utensil tray. Spice rack: Only in combination with cutlery or cooking utensil tray. Knife holder: Only in combination with cutlery or cooking utensil tray.